Tile flooring may look neat and clean when newly installed, but maintaining the shiny new look for kitchen or bathroom tiles is no easy feat. Housewives with large families can face repeated stress just to keep the place looking clean. Grouts can get pretty disgusting over time too, regardless of daily dusting. While professional cleaning services can surely leave the place spotless, they can certainly be difficult to opt for on a regular basis. While professional services are recommended once every six months for bathroom tiles, most homeowners can easily save money by using these simple home remedies to keep tiles new and clean. Regular sweeping or vacuuming the tiles can surely prevent dust from settling in. Once the dust is eradicated, it is advised that you follow-up the vacuuming with mopping. Even simple mopping with warm soapy water can give an instant shine to the floor. Regular cleaning regime can prevent germs from settling as well. After a quick mop with clean damp cloth, the tiles should be dried promptly. It is important that you use a dry cloth to wipe up any moisture left by the detergent mix (or any other floor cleaning agent) while mopping. This drying technique helps prevent fresh dirt from settling in during the damp phase. Any fluid spillages should also be mopped up and dried immediately to prevent staining or yellowing. 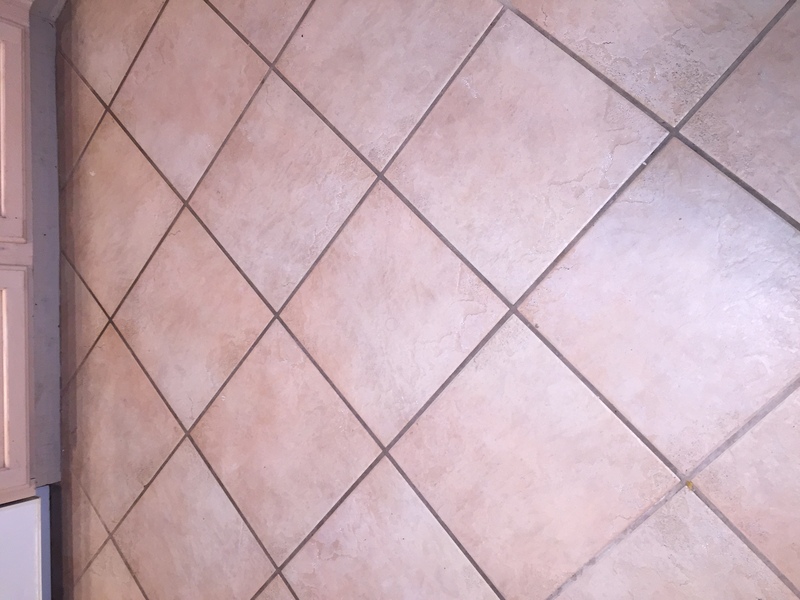 Apply the paste to the grout for 10-15 minutes before scrubbing vigorously for 5-10 minutes. Wash away with water the remaining paste. The best cleaning solutions are those which do not require added expenses towards cleaning solutions. These easy recipes can be made from your very own kitchen cabinet contents. Tea: Freshly brewed tea is great for cleaning floors with tiles. Simply dip a damp cloth in warm brewed tea and proceed to wipe away stains as usual.